Mr Sawant said the minority community voters were aware of how Prime Minister Narendra Modi took the nation ahead in the last five years through his "inclusive policies". "The minority community voters are educated, they read national newspapers, watch television and are aware about development undertaken by the Modi government. They are with the BJP," the chief minister told reporters. The BJP has fielded its sitting MPs Shripad Naik and Narendra Sawaikar from North Goa and South Goa Lok Sabha seats, respectively, where polling will be held on April 23. "The Lok Sabha polls are for the country. Don''t limit these elections to certain caste or religion," Mr Sawant said. Of the total voters in Goa, nearly 27 per cent are Christians. Mr Sawant said the issues related to Goa, like resumption of mining operations, tourism development, improvement of infrastructure and inclusion of Dhangar (shepherd) community under the Scheduled Tribes category, were suggested for incorporation in the BJP's national manifesto. 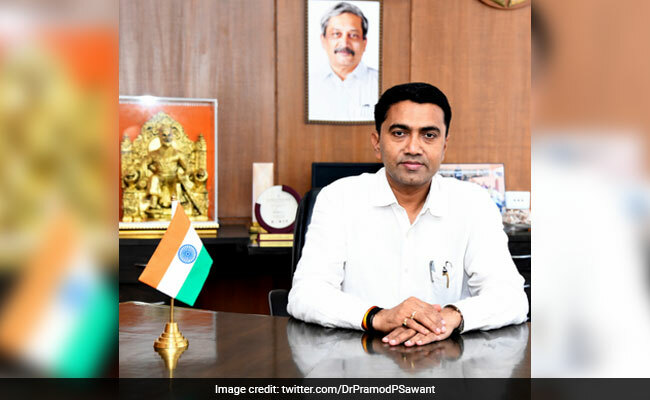 Responding to a question on support of allies, the chief minister said his government's coalition partners, including the Goa Forward Party and Independents, were campaigning for the BJP candidates in their respective Assembly segments.